This whole Prince Harry – Rachel Engelson scandal today is going to cause a LOT of masks to fall. So here we all are, living through this nightmare of the infiltration of the Church, and the open replacing of the institutional Church with the ascendant Antichurch, with the tip of the spear in all of it being MARRIAGE, specifically the indissolubility of Marriage. “Meghan Markle” is actually Mrs. Trevor Engelson. 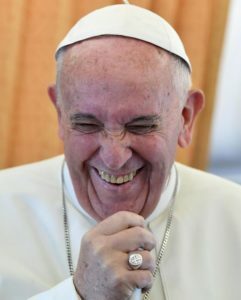 Prince Harry is going to ape the Sacrament of Marriage today – a grave mortal sin – by publicly pretending to marry another man’s wife – in view of the entire planet, a circumstance which certainly aggravates that already-infinite offense against God, His Church, and all of humanity. This will happen just yards from the grave of Henry VIII, and apparently Mrs. Engelson will be walked down the aisle by Prince Charles, who is also scandalously involved in a faux-marriage to his longtime concubine, Mrs. Andrew Parker-Bowles. The only thing that could have made this charade more deplorable is if Mrs. Engelson’s husband himself had given his own wife away. I’ll venture a prediction: within a decade, it will become the new “woke” thing for civilly divorced husbands to “give away” their own wives at sham “second weddings”. It’s so perverse, that you know it’s inevitable. I would encourage one and all to watch the Catholic blogosphere VERY closely, and see just how many people refer to this scandal as a “marriage” and a “wedding”. Watch and see just how many Catholic writers and websites wish Prince Harry and Mrs. Engelson “a long and happy marriage” – when the truth is that in order to not die in mortal sin, they must both repent of this wicked attempt at legitimizing concubinage, and acknowledge the invalidity of their scandalous sham “marriage” before they die. As in, they would have to separate. By going through with this terrible sin, they are only making it more difficult on themselves to extract themselves from it. It is gutcheck time, folks. Do we REALLY believe? Or are we willing to roll our eyes and shrug our shoulders when pretty, rich people commit sins? It’s okay, as long as her dress is beautiful, and he looks dashing. Come on, the entire planet near-unanimously agrees that this is a wedding, and that they are married. Grow up and deal with it…. Has a familiar ring to it, doesn’t it? If you actually believe in Our Lord’s crystal clear words in the Gospels, if you actually hold the Catholic Faith whole and entire, I would encourage you to NOT fall into the trap of this non-wedding. When you see it referred to as anything except what it is, an aping of the Sacrament of Marriage and a terrible sin from top to bottom, call it out. Leave comments in comboxes, when possible. And make careful note of whom betrays God and His Church by referring to it as a “wedding”, or to Harry and Engelson as a “married couple”. Finally, in charity, pray for these people. Their souls are in such peril, and they are so far removed from the One True Church, totally surrounded by enemies of their eternal souls (including the Queen herself, who despite claims of being a “devout Christian”, has enthusiastically signed off on this, as she did Prince Charles’ sham marriage to his married concubine), and they are and will be under massive institutional pressure to NEVER repent and enter into Christ’s Church. Mr. and Mrs. Trevor Engelson at their wedding reception in Jamaica. This entry was posted in Uncategorized on May 19, ARSH 2018 by Ann Barnhardt.